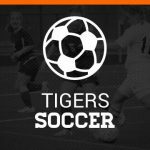 The Lady Tigers hosted Barberton on Monday night and lost 6-1. Aubrey Lightfoot had the only goal for Massillon in the second half with 11 minutes to go. KD Sutton assisted Lightfoot’s goal. Sam Smith had 13 saves for the Tigers. The ladies will play Lake on Monday away.